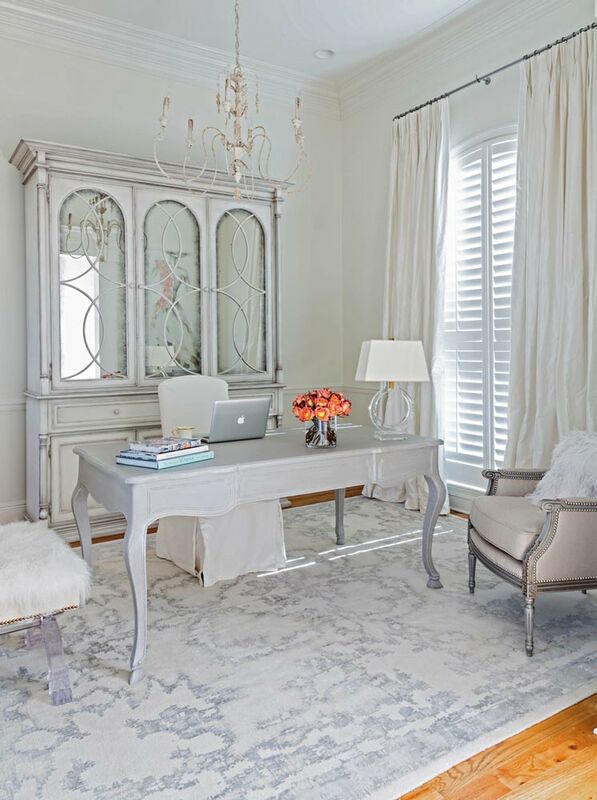 Twenty Amazingly Chic Home Offices! Maybe it’s because I don’t actually have an office of my own, but I am so inspired by all the gorgeous offices I’ve been seeing lately! We do have an office of sorts that is in part of our garage, but as you can imagine, it’s fairly dark. And not only that, it’s rather hot in the summer and very cold in the winter. As such, I’m usually writing the blog while standing in the kitchen or sitting in the dining room! 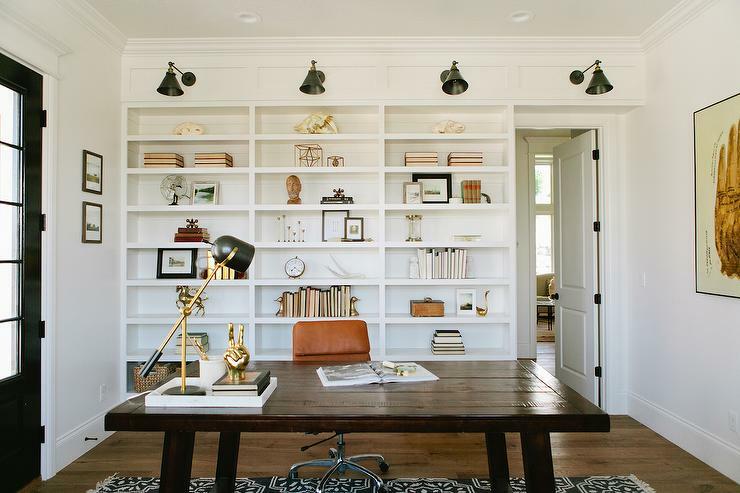 Not only do I need an office for practical purposes, but it would be so fun to decorate one! 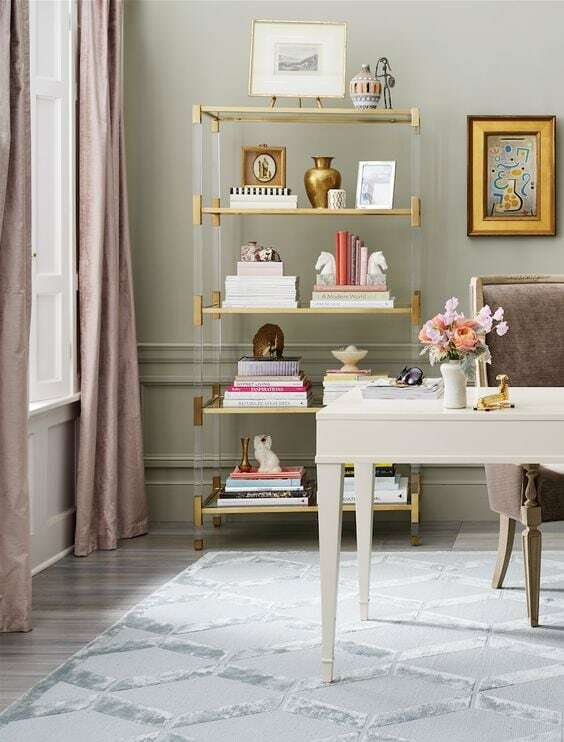 With all the amazingly chic home offices I’m seeing, I’m so ready to decorate one of my own. In anticipation of one of the kids moving out permanently, I’ve been eyeing office designs and pinning ideas on Pinterest like crazy. (That’s probably not happening for awhile, but you know, might as well be ready, right?!) So today I thought I’d share some of the most inspiring offices I’ve found. 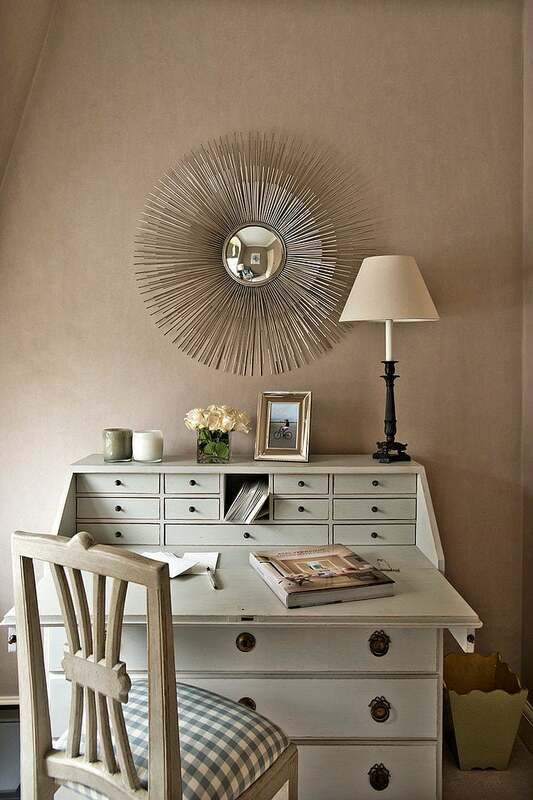 Here are my picks for the 20 most amazingly chic home offices around…. Probably the prettiest office on the face of the planet! Design by Brooke Giannetti. 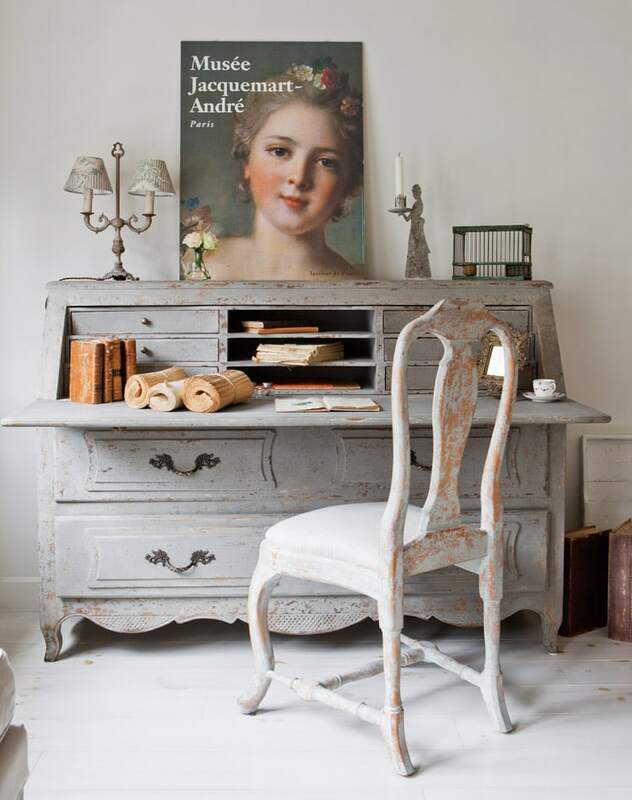 This gorgeous French inspired office is by one of my favorite designers, Minnie Peters. A house in the Netherlands via Victoria magazine. By design firm Sims Hilditch. Palm Design Group via Decorpad. 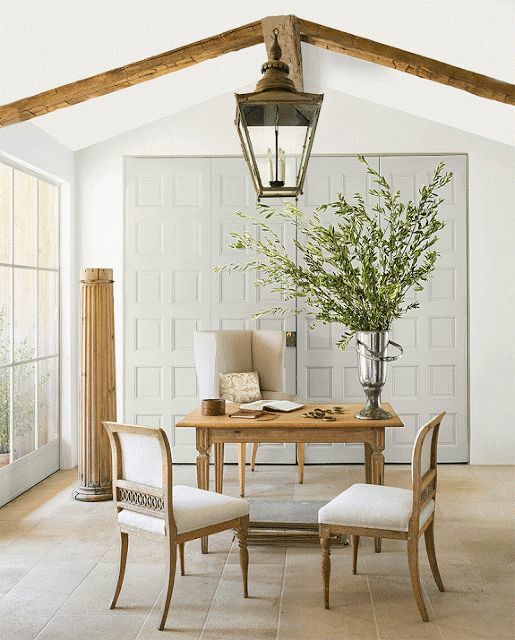 Jennifer Pacca Interiors via Houzz. 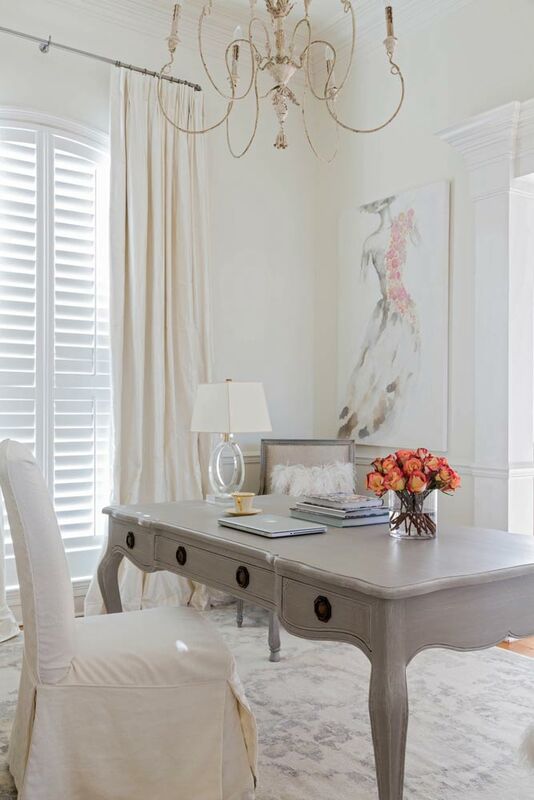 I absolutely adore this gorgeous and feminine office by Jennifer Dicerbo Interiors. Brooke Giannetti’s office at her home Patina Farm. And if you don’t already own her book by the same name, it’s a must own. Just one gorgeous image after the next! By designer Tami Owen of The Owen Group. Cabinets by Cantley & Company. 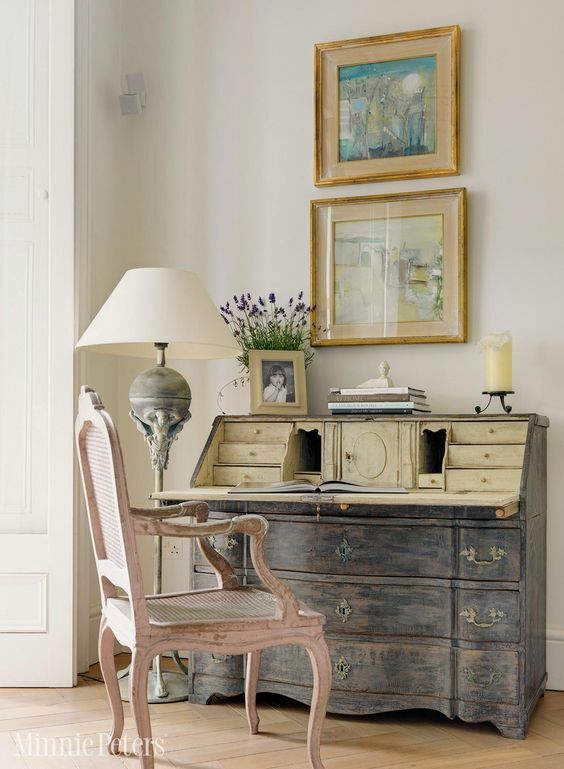 The black desk looks so good in this room of all white. Via IKEA. Photo by Leslie Unruh via One King’s Lane. By House of Jade Interiors. Hogue Interior Design via Decorpad. 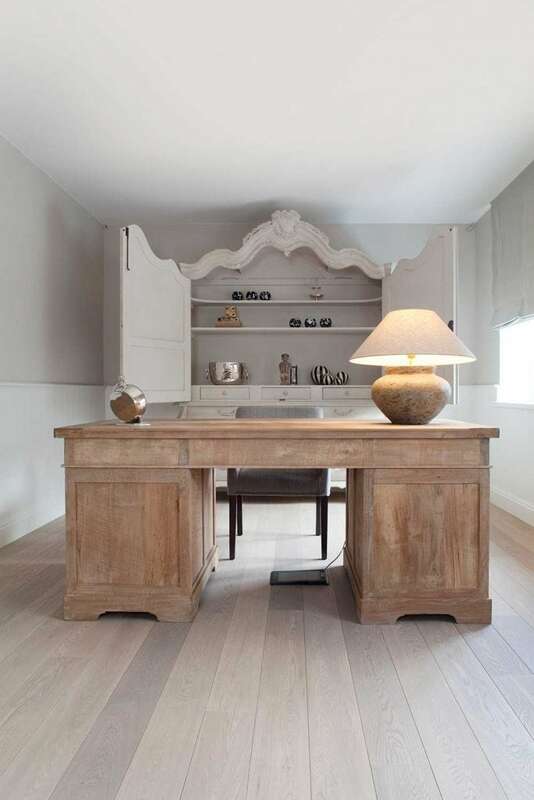 “Fashion Editor’s Office” via One Kings Lane. Are you as inspired as I am? 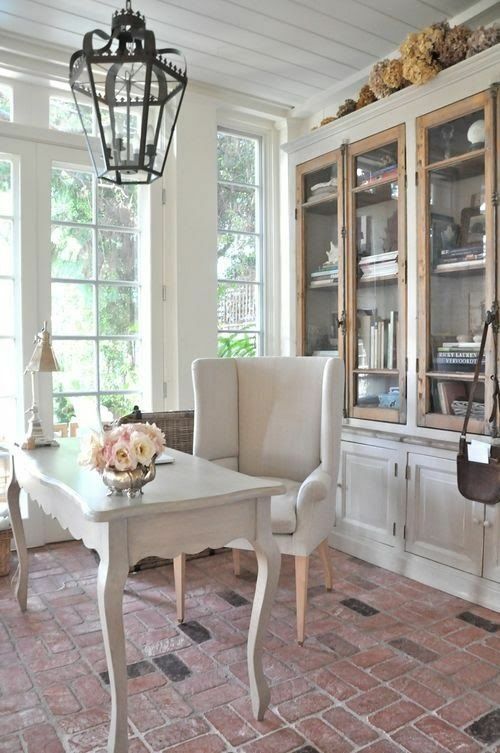 I’m pretty sure I would get more work done and be more productive in one of these chic home offices! Another great post- thank you! Right now, my “office” is a hand-me-down kid’s desk in the corner of the guest rom. My husband has his own private study and my kids are grown so I think it’s time that the lady of the house gets a room of her own. You’ve inspired me!